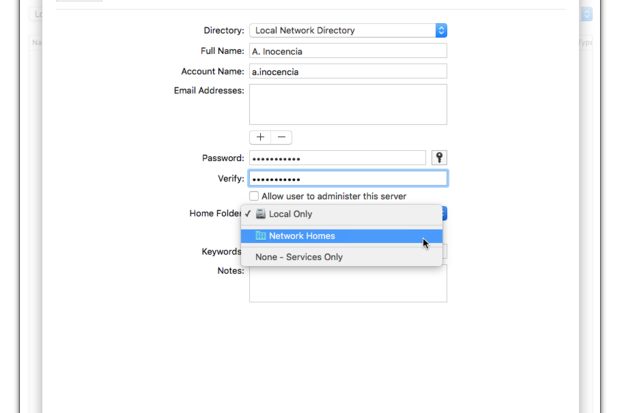 How to use the NetBoot service with network Home Folders and Open Directory user accounts. You may recall from our episode on starting your Mac using NetBoot images that using a NetBoot image requires you to go through the setup process every time you restarted your Mac. This sounds useless, on the face of it, but it isn’t when you use this feature in conjunction with a default image that never needs to change and user accounts and Home Folders hosted on your NetInstall server. 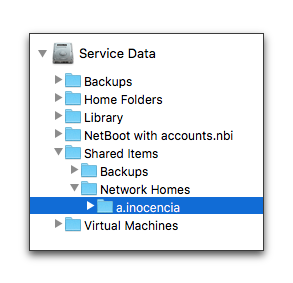 For our last two NetInstall episodes we’ll use the NetBoot service with network Home Folders and Open Directory user accounts. Before we can begin you’ll need to have Open Directory set up on your server. We covered this in our Primer on Profile Manager, so you should head over there before you begin what’s next here. When you’re done setting up Open Directory, come back here to continue. In order for the NetBoot service to work the way we need it to we need to set up user’s Home Folders so they don’t reside on a local hard drive, they need to be set up on a server so they’re available on your network. 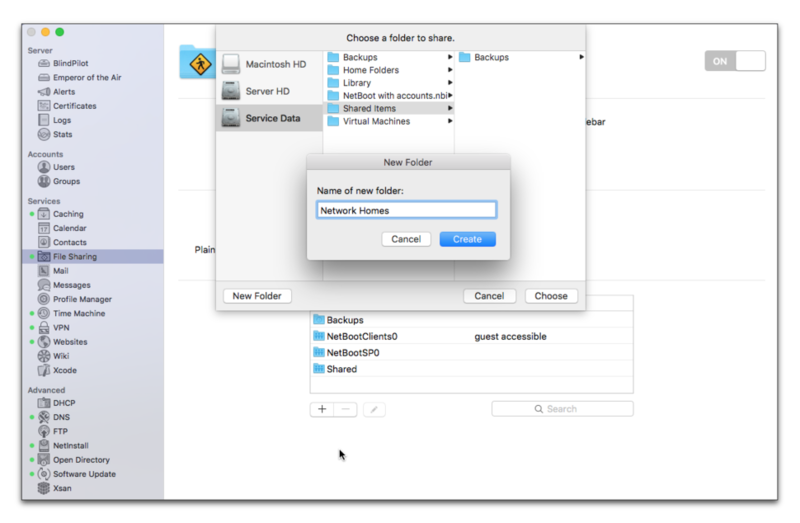 Network Home Folders are set up using the Server app’s File Sharing service. 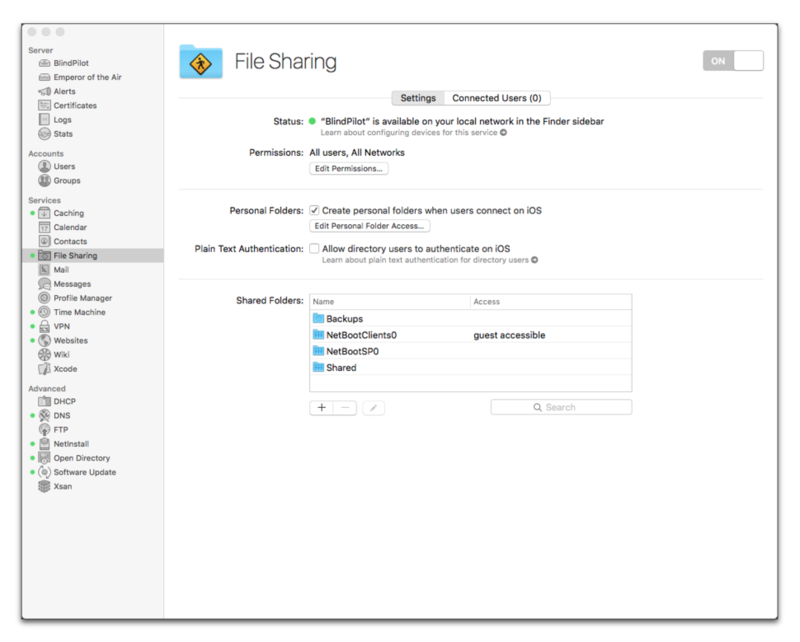 They’re shared folders like any other shared network folder, but the Server app also makes available as a location to create user’s Home Folders when creating user accounts. 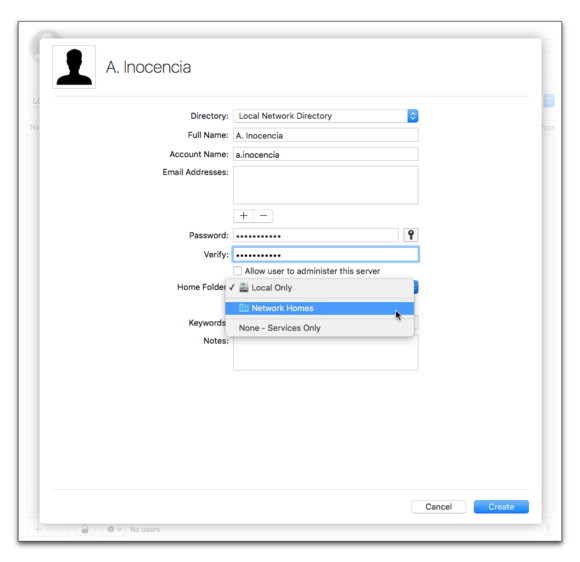 Open the Server app and authenticate as the directory administrator if necessary. Select the File Sharing service in the sidebar of the Server app. Note: Because you’ve already used the NetInstall service, File Sharing should already be turned on and there will be shared folders in the Shared Folders field. Click the + below the Shared Folders field. Choose a location on your server’s hard drive where you want user’s Home Folders. to reside and create a new folder called Network Homes. Select the Network Homes folder. Network Homes should appear in your list of shared folders. Now it’s time to set the folder up for use as a network Home Folder. Double click the Network Homes folder in the Shared Folders list. Note that it’s already shared using SMB and AFP. Put a check in the box that says, “Home directories over” and make sure the menu says SMB. Authenticate as the directory administrator if you’re asked to do so. Once these steps are complete the Network Homes folder will be available as a Home folder location when creating Local Network User accounts. Select Users in the sidebar of the Server app. Select Local Network Users from the Users menu. Click the + button at the bottom of the Users window. Enter information for a new account including a password. Click the Home Folder menu and select Network Homes. Click File Sharing in the Server app’s sidebar. Click the Browse button next to the folder name. Verify that your user’s Home Folder appears in the Network Homes folder. Next, we’ll set up the NetBoot service so your users can log in using a network Home Folder.